How to fix btmshellex.dll error on Windows? Home »	Fix » How to fix btmshellex.dll error on Windows? Issue: How to fix btmshellex.dll error on Windows? I tried updating and uninstalling it, but after that I started getting a message “There was a problem starting C:\\Program Files (x86)\\Intel\\Bluetooth\\btmshellex.dll. The specified module could not be found” on start up. Please tell me what should I do? Many Windows 8.1 and 10 users came across the btmshellex.dll error. 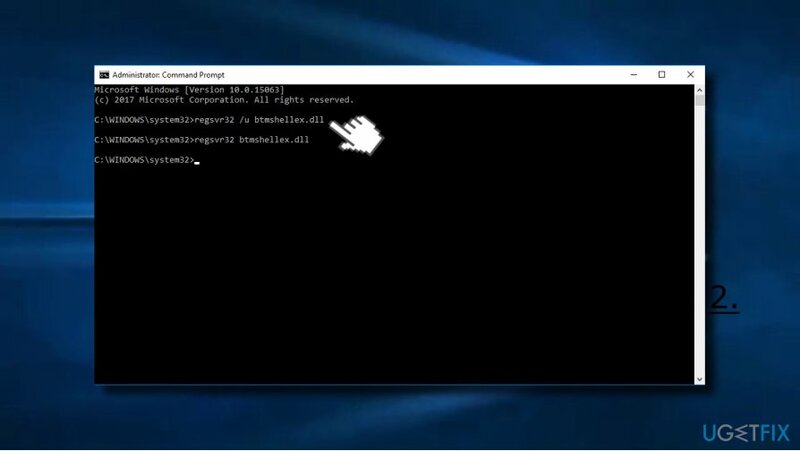 The btmshellex.dll is a standard Windows process developed by Motorola Solutions, Inc. It’s responsible for running Bluetooth service and normally can be located in C:\\Program Files\\intel\\bluetooth\\btmshellex.dll. There was a problem starting C:\\Program Files (x86)\\Intel\\Bluetooth\\btmshellex.dll. The specified module could not be found. In most of the cases, it emerges soon after the installation of Windows updates, removal of software or driver updates. Several cases were registered when people removed the btmshellex.dll file accidentally, but these instances are rare. 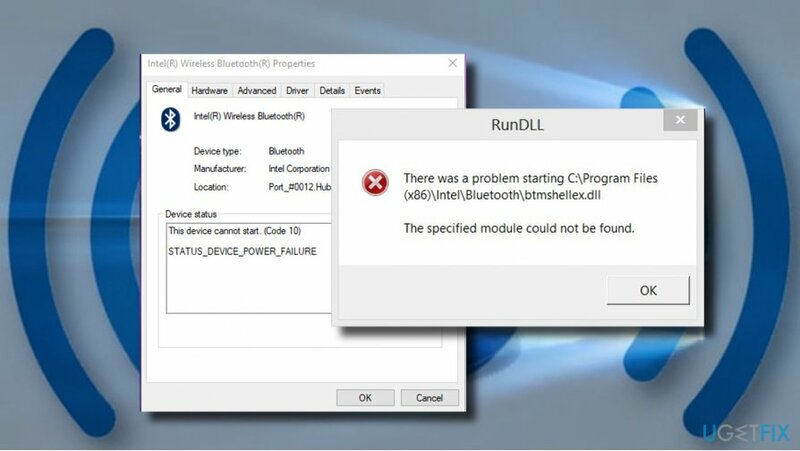 The culprit of the btmshellex.dll error is usually related to Bluetooth drivers, which might got corrupted by Windows update or other third-party software. Therefore, the most primitive solution would be to update or reinstall Bluetooth drivers. Nevertheless, sometimes driver update won’t do the trick, so we would also recommend checking the system for malware and re-registering the btmshellex.dll file. Although uncommon, hackers target files like btmshellex.dll. They duplicate legitimate files and conceal viruses under them. Windows system won’t accept corrupted files and, therefore, errors like Btmshellex.dll “The specified module could not be found” may occur. To prevent time wasting, we would recommend you to run a scan with Reimage all-in-on tool, which will scan the system for malware and optimize it. If the scan did not fix the btmshellex.dll is missing error, try updating Bluetooth drivers and re-registering the btmshellex.dll file. Alternatively, you can click Windows key + R, type devmgmt.msc in the Run and hit Enter. 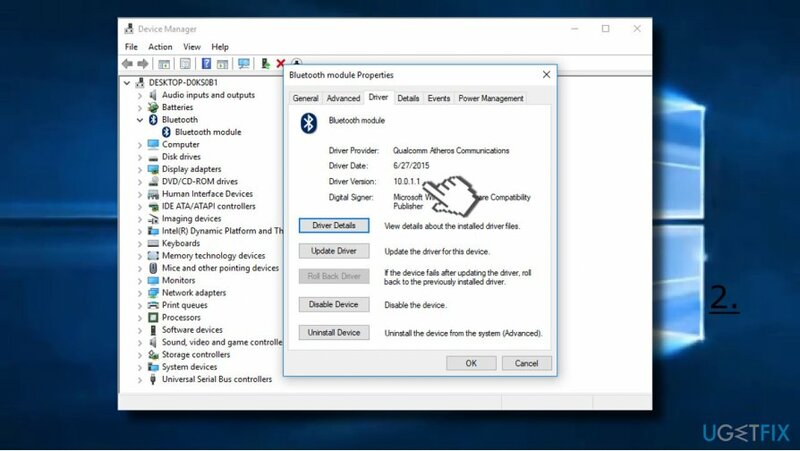 Find Bluetooth driver, right-click on it, and select Update driver. Now select the Search automatically for updated drivers option and let the system to run a scan for updates. Eventually, you’ll get a confirmation if the Bluetooth driver has successfully been updated or a report that no updates were found. When in Device Manager, double-click on the Bluetooth driver. Open Driver tab and check what is the version of your Bluetooth driver. Navigate to the manufacturer’s website and find the latest driver for your device. Once installed, reboot the system and check if the problem is gone. 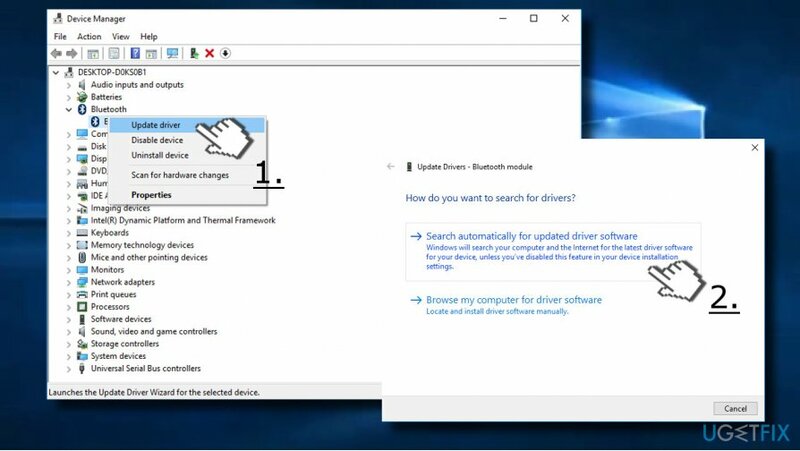 IMPORTANT: before downloading the driver manually, make sure that you opt for the newer driver version, but not the same as installed on your PC. 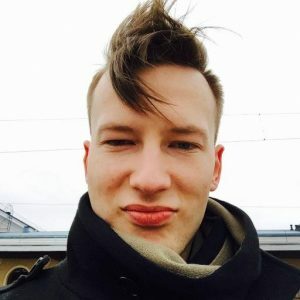 Type regsvr32 /u btmshellex.dll command and press Enter to execute it. Then type regsvr32 btmshellex.dll and press Enter. Now restart the system and check if this method worked. If none of the previous methods helped to fix btmshellex.dll error, disable this dll file to prevent it running at the startup. Now open Startup tab and select Open Task Manager. Locate the btmshellex entry, select it, and click Disable. 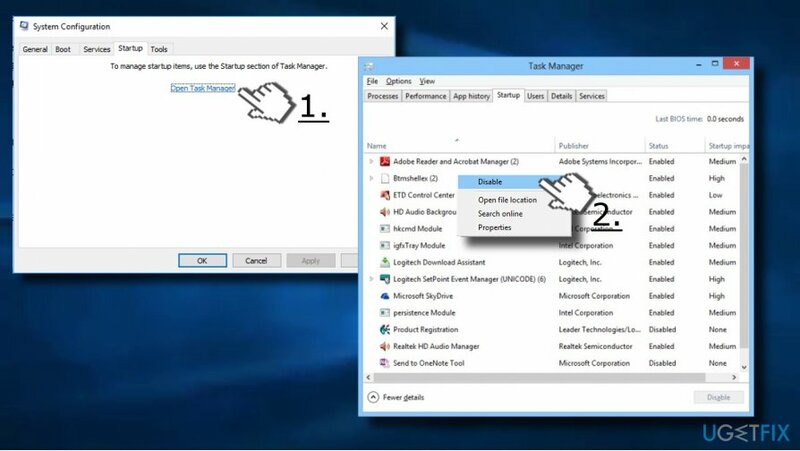 Close Task Manager and click OK. Restart the system and check if the btmshellex.dll “The specified module could not be found” error has been fixed. ^ What is Btmshellex.dll. Should I block it? Discover and prevent unwanted processes. ^ Mauro Huculak. Windows 10 Creators Update common installation problems and fixes. WindowsCentral. Featuring news, reviews, help & tips, buyer guides, forums and accessories. ^ Haley Sweetland Edwards. A Devastating Type of Hack Is Costing People Big Money. Time. Online magazine.